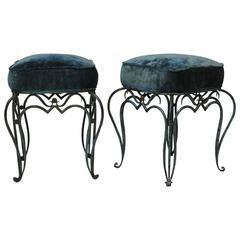 Pair of French hat stools, blue and white corded or woven nylon(strong) washable. Four available. Very comfortable and strong. 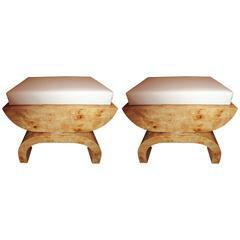 Pair of Asian inspired bird's-eye maple stools or small benches. Art Deco in style, upholstered cushion tops in a cream linen. Heavy construction, solid through the whole frame. Selling three high bar or counter stools, rope wrapped around teak wood, white tops and bottom band. 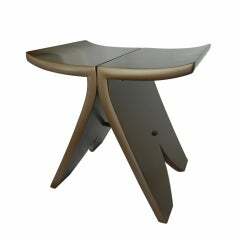 Polished steel foot rests, heavy duty, made to last, indoor, outdoor. 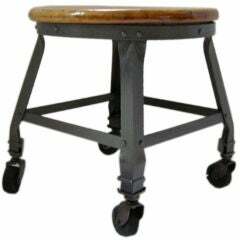 Industrial Iron Stool, on original casters. Maple Wood seat restored, polished iron. 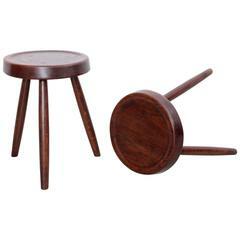 A playful pair of vintage occasional stools are in wonderful condition! Newly upholstered in fitting fabric, the seats sit over a scalloped apron with four splayed legs. 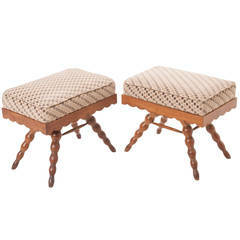 Pair of French rattan stools 1960s. Pair of 19th century French stools. Pair of French oak stools in excellent condition. 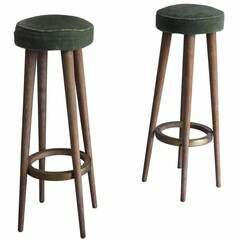 French A pair of stools, circa 1940. Of ‘X’ shape, the folding leather seats on lacquered wood supports. 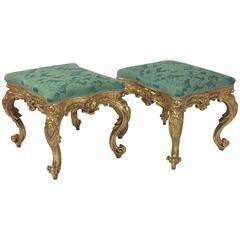 A Pair of French Art Deco cerused oak bar stools with brass details. Dimension between legs is 15 3/8".